Electronic DJ Han Solo hits the road with Album1! Sander van Dijick, commonly known as San Holo, isn't your everyday DJ and is rising in the electronic music scene. 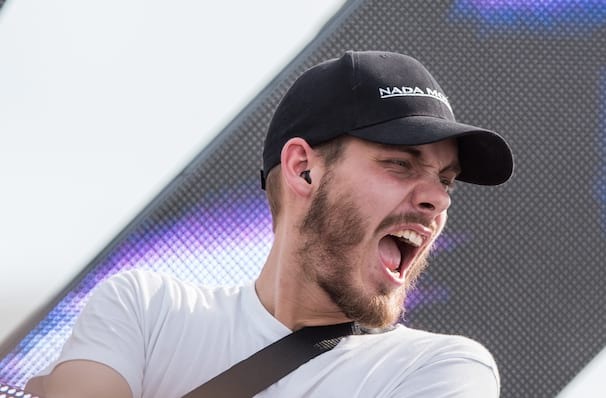 After putting his name on everyone's lips with his remix of Dr. Dre's 'The Next Episode', which was viewed over 175million times on YouTube, San Holo has been releasing music on several record labels. This year sees him hitting the road in support of his most recent release, Album1, which he aims to receive critical acclaim for. Though his contagious electric sound hasn't taken over the world just yet, his biggest hit 'Light' has given him the fuel to reach the top. His live shows are known for being next level, with them capturing the attention of EDM fans all over the world. Make sure you don't miss out on this experience of a lifetime, the sound will be electronic - as will the atmosphere. Sound good to you? Share this page on social media and let your friends know about San Holo at The Ritz. Please note: The term The Ritz and/or San Holo as well as all associated graphics, logos, and/or other trademarks, tradenames or copyrights are the property of the The Ritz and/or San Holo and are used herein for factual descriptive purposes only. We are in no way associated with or authorized by the The Ritz and/or San Holo and neither that entity nor any of its affiliates have licensed or endorsed us to sell tickets, goods and or services in conjunction with their events.